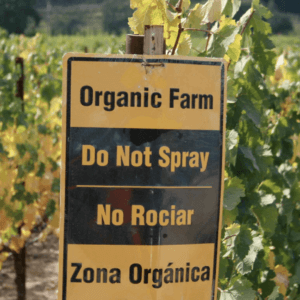 This is part two of a four-part series attempting to separate fact from fiction regarding pesticide use on organic farms. In the first installment, we looked at the common claim that organic farms actually use more pesticides and more dangerous pesticides than convention farms through the lens of a few simple observations and talking to actual organic farmers. Here we look at the factoids that have been taken out of context and twisted into a dishonest narrative. 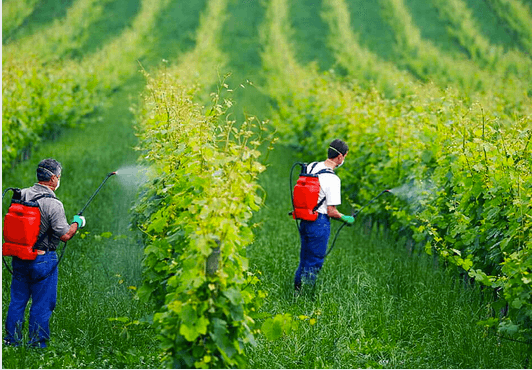 In part three we look at the special cases of pest control in organic orchards and vineyards. Finally, in part four, we take a critical look at a widely circulated article purportedly busting myths about organic farming that managed to create a few myths. In the first part of this series separating fact from fiction regarding pesticide use in organic farming, I started with a meme that has become all too common as the politics of food production become tribal and polarized. I see lots of people on Twitter and Facebook claiming that not only do organic farms use pesticides (surprising to lots and lots of people), but they use MORE pesticides!!! And not only that, the pesticides are MORE TOXIC!!! We looked at the lack of herbicides in organic production, the research literature on the impacts of organic farming compared to conventional on on-farm biodiversity and eco-toxicity, and finally went over an informal survey of organic farmers I trust to test the general proposition and found it wanting to say the least. It’s just not the case that organic farmers are secretly using more pesticides, and more dangerous pesticides than conventional farmers. But that idea must have started somewhere. There must be some grain of truth that this misleading meme sprung from. Yes, there are some facts that have been twisted in cynical ways to convince people who are fed up with the overblown claims of organic marketing that these things are true. There are a few basic facts that form the basis of this narrative. 1. BECAUSE ALL ORGANIC APPROVED PESTICIDES are available to conventional farmers, but not all pesticides are available to organic farmers and it is more difficult to develop new organic approved pesticides, it is true that there are cases where the best organic options for pest control are notably worse for the environment and riskier for human health than their best synthetic counterparts. So yes. There are specific instances where the risk profile of organic pesticide use is higher in certain crops and regions, that doesn’t change the fact that overall organic pesticide use is low and the measured impacts on eco-toxicity and on-farm biodiversity tend to be lower than in conventional systems. Orchards and vineyards are two areas where a higher risk profile is likely because those are types of crops that farmers can’t use crop rotations to break up pest cycles, a pest management tool used to a greater degree in organic production more intensively than in conventional (By and large. That’s not to say that you can’t find conventional farms with very diverse crop rotations). And the chemical tools available to organic farmers are not as good as some of those available to conventional farmers, but you’d be surprised how much conventional farmers use coppers and sulfurs as well. We’ll take a closer look at organic pest control in orchards and vineyards in part three. 2. BECAUSE MOST ORGANIC PESTICIDES, mineral oils in particular, degrade faster than their synthetic counterparts, it’s often the case that organic farmers have to re-apply them more often and in greater amounts – at least measured in pounds of active ingredient. But be careful losing the thread of the logic here. The reason for the greater applications is that the pesticides are biodegrading and they are less effective. That certainly means less risk of residues for consumers and it suggests that environmental persistence is less of an issue. It’s hard not to laugh when I’ve seen people try to use more frequent applications to counter fear-monger the idea that organic farmers use MORE PESTICIDES AND MORE DANGEROUS PESTICIDES !!!!! Turn off the capslock, dude. Take a deep breath. Think it through. That’s not to say this is a hard and fast rule. Sulfur compounds are used frequently in vineyard and organic production, in both organic and conventional, but more sulfur is used in conventional than in organic, but at lower rates. They are hard on beneficial insects, unpleasant for neighbors and risky and unpleasant for farm workers. 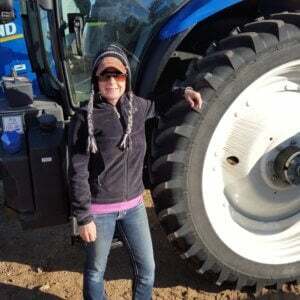 The use of copper based fungicides, which don’t degrade, is another example of a chemical used far more often in organic, while conventional farmers have better synthetic options. We’ll look at these in greater detail in part three. 3. PESTICIDE USE IN ORGANIC FARMS is not tracked specifically. The USDA gathers information about every pesticide, the number of total pounds applied, number of applications, pounds applied per acre, etc. What they don’t keep records of is whether those rates are different between organic and conventional farms. This completely banal fact is sometimes twisted into a near conspiracy theory that the USDA is in cahoots with organic marketers to downplay and hide organic pesticide use. But it’s just not the job of the service of the USDA that compiles that data to break it out that way. But it certainly is the job of organic marketers to downplay and even evade the fact that organic farmers DO use pesticides. 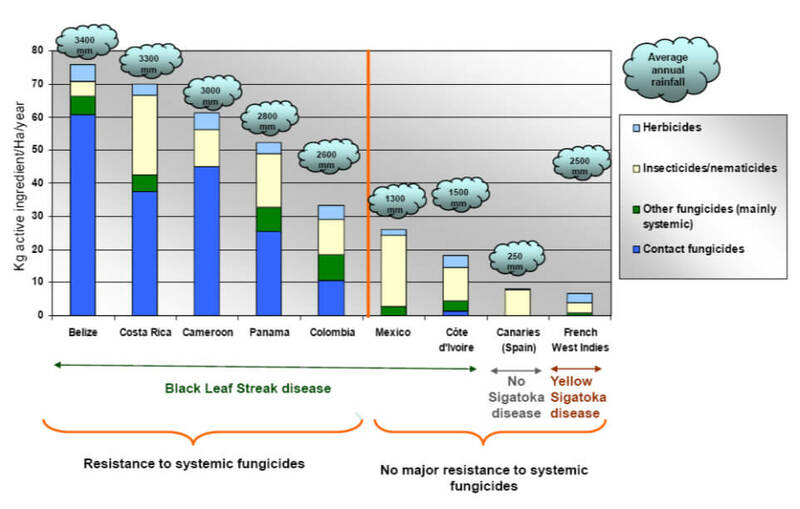 Related to this, I’ve seen this graph created by plant pathologist and crop consultant Steve Savage put to bad use. 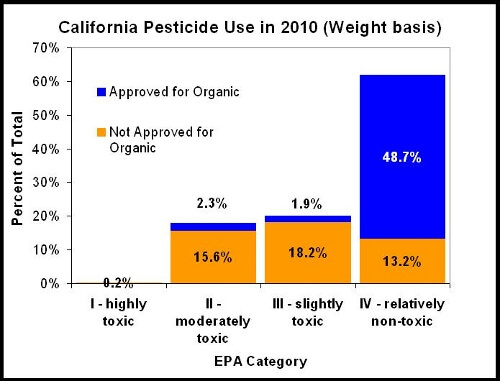 What I ran across, was that chart pasted into a graphical meme that made it seem like the majority of pesticides in California were applied on organic farms, because the majority of pesticides applied in California are approved for organic production. 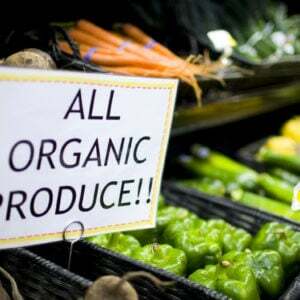 It completely missed the fact that most organic approved pesticides are used on conventional farms. Instead, it insinuated that the entire blue chunks of those bars in the graph were a representation of pesticide use on organic farms. Here’s a little back of the envelope math showing how ridiculous the idea that all organic pesticides were applied on organic farms in California. In 2010 173 million pounds of pesticides were used in California. As the chart shows, roughly 50% or 86.5 million pounds were approved for organic. There are 25 million acres of cropland in California, but only half a million in organic production (1 in 50). If all 86.5 million pounds of organic pesticides had been applied to California’s organic farms that would have been an average rate of application of 173 pounds per acre. In this narrative, the highly toxic organic insecticide rotenone plays an outsized role in the story. Rotenone is a compound extracted from the roots of a number of different plants. It is a broad spectrum insecticide, that is highly toxic to off-target insects, as well as being highly toxic to aquatic life, especially fish. It functions by cutting off the cellular absorption of oxygen, so any organism that requires the cellular absorption of oxygen is going to find rotenone poisonous. In humans and other mammals, it is considered moderately toxic, and it’s been implicated in the development of Parkinson’s Disease. It’s pretty nasty stuff. And in the United States, it’s on the National Organic Program’s list of approved pesticides. The EPA hasn’t set a tolerance for residues. Yikes! Just one thing. The EPA deregistered rotenone for food crops in 2010, a process begun in March 2007. Phase out in the EU was begun in 2008 and wrapped up in 2013. It’s now only used to a piscicide to control invasive fish. And it fell out of favor in the late nineties. A 2006 report on botanical insecticides found that use had been on the wane. 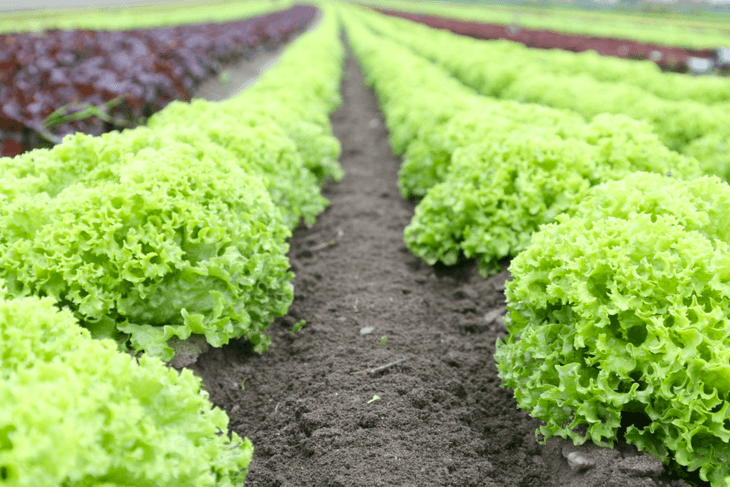 In California, about 440 pounds were used annually, mostly on lettuce and tomato crops. 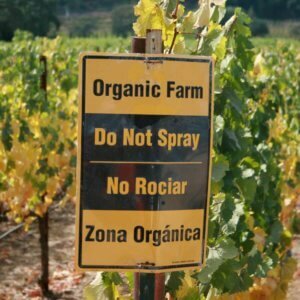 So out of nearly 200 million pounds of pesticides applied on California farms in 2005, 440 of those were rotenone used on organic farms. Before it was taken completely off the market, organic farmers were using it sparingly, if not downright surgically, as a last resort. Here’s a little more granular context for rotenone use in California (the center of organic farming in America, and especially in fruit and vegetable farming where the crops are more vulnerable to pests than in row crops grown in cooler regions) – a 2001 report by the Integrated Pest Management Database [PDF] on lettuce production in California logged 108 pounds of rotenone (and 126 pounds of pyrethrins) on lettuce. That compares with 154,395 pounds of the fungicide maneb, 55,849 pounds of the fungicide fosetyl-aluminium, 48,175 pounds of the ozone layer depleting fumigant methyl bromide (phased out in 2005), 46,867 and 15,004 pounds respectively of diazinon and malathion of the rightly dreaded organophosphate class of insecticides, 33,927 pounds of the fairly nasty methomyl of the carbamate class of insecticides, 33,225 pounds of the herbicide propyzamide, and finally 3,475 and 1,787 pounds respectively of the organic insecticides spinosad and BT. That’s just eight of the two and half dozen or so pesticides that were used on lettuce in California in 2001, but OMG!!! organic farmers used 108 pounds of rotenone and it’s vitally important to fear monger you about that to get back at dastardly organic marketers!!! A search on the USDA QuickStats database confirms the scale of use and the trend. 1000-2000 pounds a year used nationally during the early nineties, dwindling amounts in the hundreds of pounds from 1996 to 2006 when it disappears completely from use. So, it turns out that rotenone, a nasty insecticide – though nowhere near as nasty as chlorpyrifos, a synthetic insecticide the Obama administration had slated to deregister because it negatively affects cognitive development in children and just got a new lease on life from the Trump administration – was an insecticide that was barely in use before it was taken off the market. Meanwhile, Dow sells 5 million pounds of chlorpyrifos every year in the US. That’s not a lot in the overall context of pesticide use, but it’s a lot more than 440 pounds. The use of chlorpyrifos is highly restricted in California, but that didn’t prevent more than 50 farmworkers outside of Bakersfield, CA from being poisoned a month after President Trump reversed the ban. However, there is something you should know about current rotenone use. I’ll tell you, if you promise to turn off the caps lock. Is it turned off? OK. There is still one crop where rotenone use is still a legitimate concern. Bananas. Rotenone is still legal to use in the Central American countries that export bananas to the US. Rotenone is critical to organic banana production which is among the least sustainable crops and modes of production I can think of. Mass-market banana production isn’t particularly environmentally friendly to begin with, to say the least. They are shipped long distances. 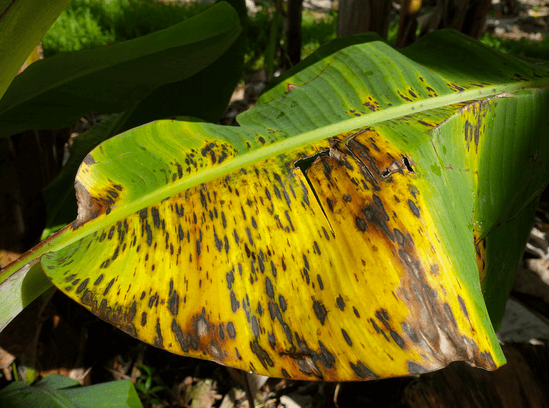 The Cavendish bananas (your standard sweet supermarket banana) are under attack from Black leaf streak disease and Panama disease among other fungal threats. Fungicides and soil fumigants are not very effective in controlling the fungal disease. Instead, insecticides are used in a zero tolerance effort to control the insects that serve as vectors of the disease. Organic production is done at higher altitudes and requires clean soil, as Panama disease can stay active in soil for years. Expanding organic production can mean clearing forests to lay claim to soil free of the pathogen. A zero tolerance policy for disease spreading insects means rotenone, since it is the most effective organic insecticide against those pests. The National Organic Standards Board (NOSB) is a citizen body that advises the National Organic Program (NOP) subsequently recommended prohibiting the use of rotenone in organic production, effective January 1, 2016, which would ostensibly put the kibosh on organic banana sales. The NOP has not taken their advisement as of yet. Whether that’s due to the influence of the banana lobby – Dole, Chiquita, Del Monte, et al, not a group to be trifled with – or some other reason is a matter of speculation. We’ll have to end on that sobering note. In the next installment, we’ll take a comparative look at organic and conventional orchard and vineyard production in the US.